A printed booklet of wisdom accumulated during my time spent traveling through the Pacific Northwest during the Summer of 2016. Includes essays and poems, alongside extensive herbal monographs specific to Northern California, Oregon, and Washington. 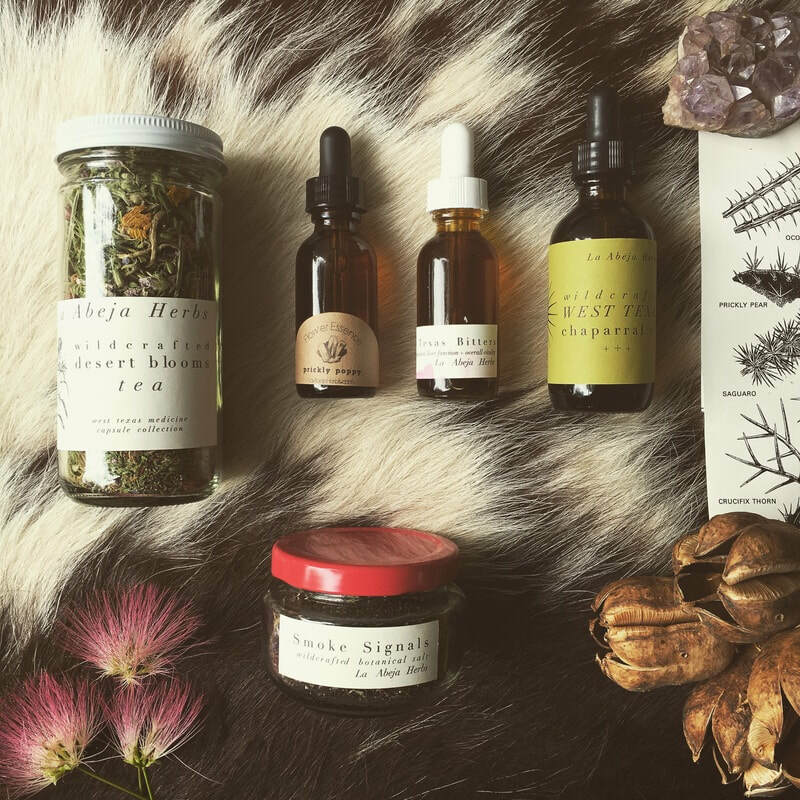 The first in a collectible series of place based medicine guides. Take a few drops (three to thirty) directly in your mouth or in a small glass of water before or after meals to stimulate the appetite and improve digestion and assimilation. Add a wild dash to cocktails to awaken both your tastebuds + your liver. Cooling and calming this wildcrafted bitters formula helps to soothe nervous indigestion caused by the insistence of Summer's heat. In tense moments, enjoy it in drop doses for a centering experience that will bring you back to your gut instincts. ​We believe in keeping in touch. We believe in slowing down. We believe in a world where you can touch and taste and hold in your hands, the words of those you love. With the dizzying pace of modern communication, there is little that delights us more than both sending and receiving actual mail. It's a gesture that's simple, but tangible and which says more than any text or email ever could. ​This set of sixteen postcards is printed on matte recycled paper. Perfect for sending love notes to those you hold dear, mailing to your elected representatives​ to speak your piece, or pinning to the wall for a reminder of all that is good, wild, and free in this world. All photos are original and shot by Sophia Rose during her 2016 journey along the West Coast. 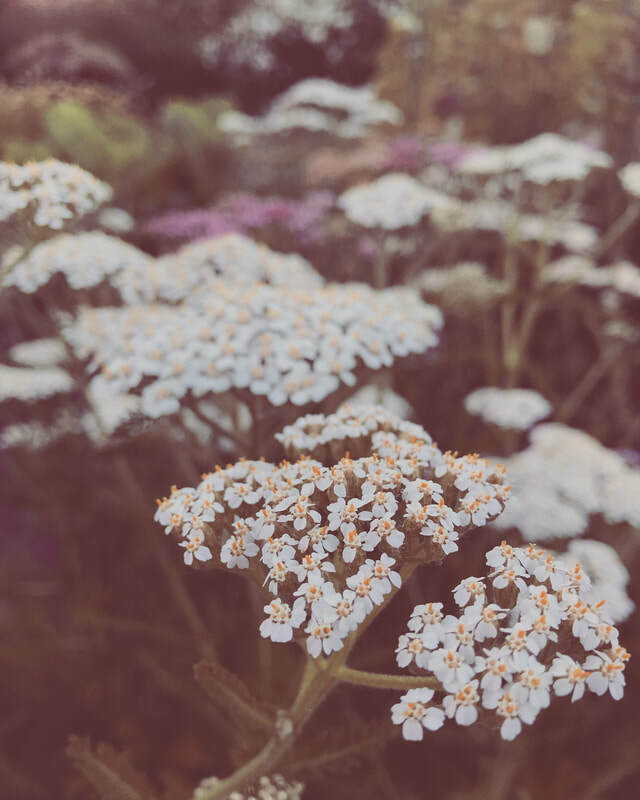 Yarrow helps us regain the sense of safety that is often lost with heartbreak. Yarrow, however, has a particular fierceness to it. It offers us strength and resilience when we feel weakened and as though we do not even have the energy to do the healing needed. It brings courage and a connection to the warrior spirit within each of us that knows how to overcome adversity. Yarrow is also a wonderful ally for inspiring forgiveness–of both self and of others. Physically it helps to bring on delayed menses, soothe cramps, and lessen heavy bleeding. It is also an excellent ally for supporting the body through fevers, colds, and flus. Topically it is antiseptic and wound healing. 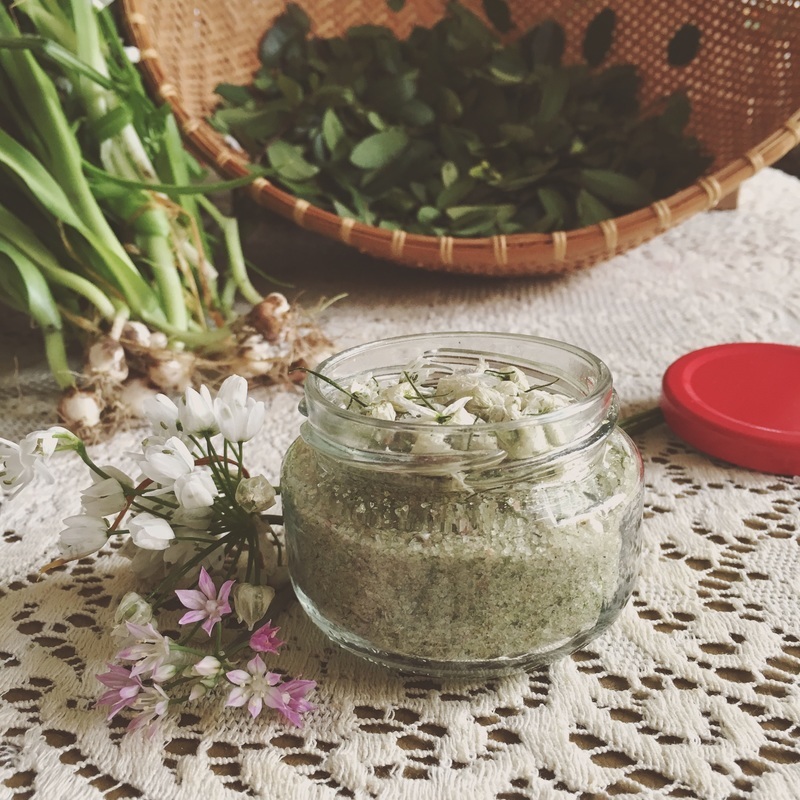 This wildcrafted finishing salt elevates even the simplest of meals with all the liveliness and delight of Spring. Sprinkle it generously atop eggs and salads, grains and greens, or anything else you fancy. Mineral rich and deliciously fragrant it lends an incredible umami flavor to all that it touches. The Wild Spring Onion bulbs contribute both sweetness and warmth while the generous sprinkling of their blossoms brings a sense of simple luxury to any dish. Nettle is famed for its ability to restore a depleted nervous system, bolster overtaxed adrenals, and generally restore vitality to the system and the Pink Himalayan Sea Salt in which these all reside, make for a nuanced and mineral rich base, reminiscent of the ancient Ocean from which all new life once sprung. Once you've tasted this salty wildcrafted delicacy, you won't want to go a meal without it. It is largely through the breasts that we sense the world. The lymph + fat contained therein are precious substances which allow us to perceive even the most subtle aspects of our surroundings with astounding accuracy. It is the breasts which rule intuition and judgement. Commonly the breasts and associated lymph and energetic centers become blocked and stagnant as we desensitize ourselves, often out of necessity, in the modern world. Through dulling one of the most vibrant and dynamic modes of perception available to us, much is lost. By encouraging lymphatic flow and energetic circulation throughout the tissues in order to return this innate sensing to our bodies, we become more tuned into Nature, to our own needs, and to the good + wild paths which call out to us. 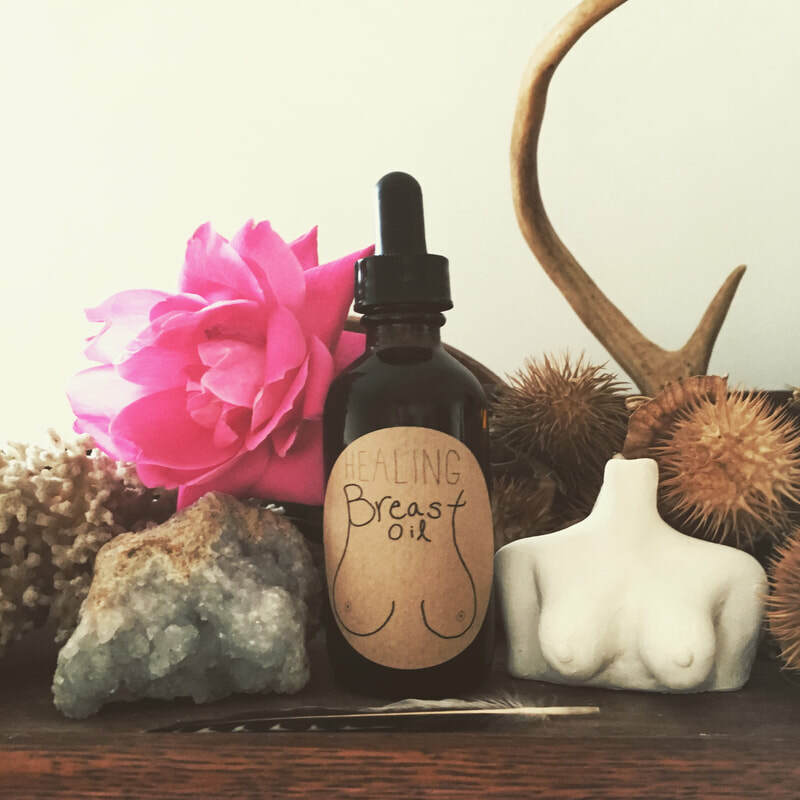 Our Healing Breast Oil is formulated with herbs to ease hormonal tenderness, offer potent protection, and circulate lymph throughout the tissues, making it the perfect companion for nightly breast massage or a monthly Moontime Ritual. Essences of Rhodochrosite, Celestite, and Desert Rose help to cultivate a sense of true Love of the Self, and a deepened trust in your own inner knowing. Essential oils of Lavender, Juniper, Grapefruit, and Yarrow soothe the spirit, brighten the mood, and assist in balancing hormones. For external use only. Devils' Club [ Oplopanax horridus ] is a powerful medicine. Covered from tip to toe in unforgiving thorns, this plant grows in thick stands in the Northwestern rainforest. Devil's Club is not afraid to take up space, make its presence known, or tell you where its unmistakable boundaries lie. In this way, it is of incredible importance for people who have lost their sense of self, their sense of even being welcome in this world. 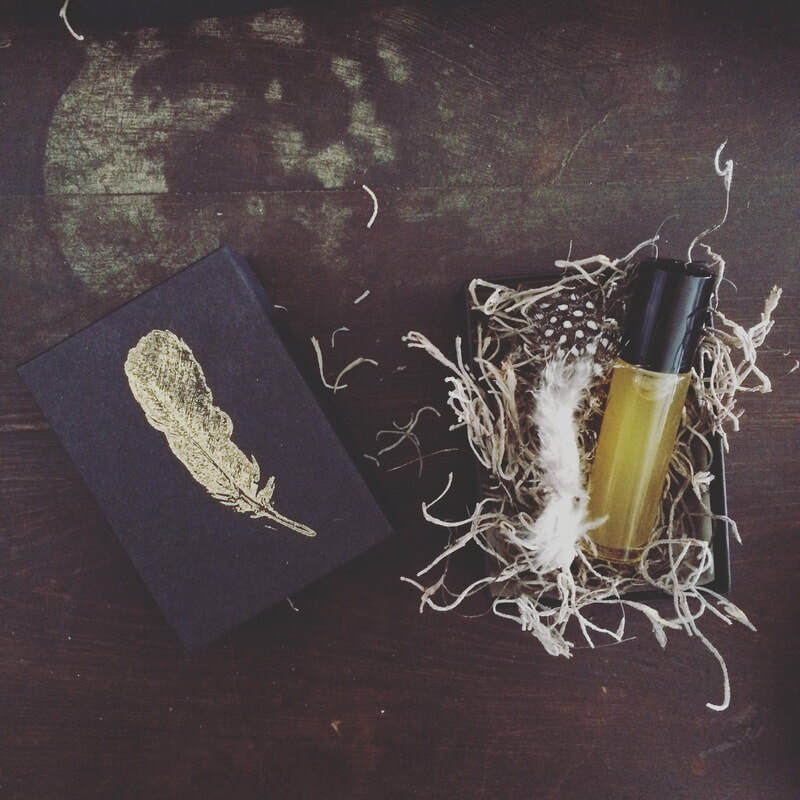 Devils' Club brings you deeply in touch with your power, your calling, your gifts, and allows you to feel at home in your body, in your life, and in the world around you. It supports one in asserting themselves--not out of egocentricity but rather from a place deeply rooted in Spirit and in Strength. 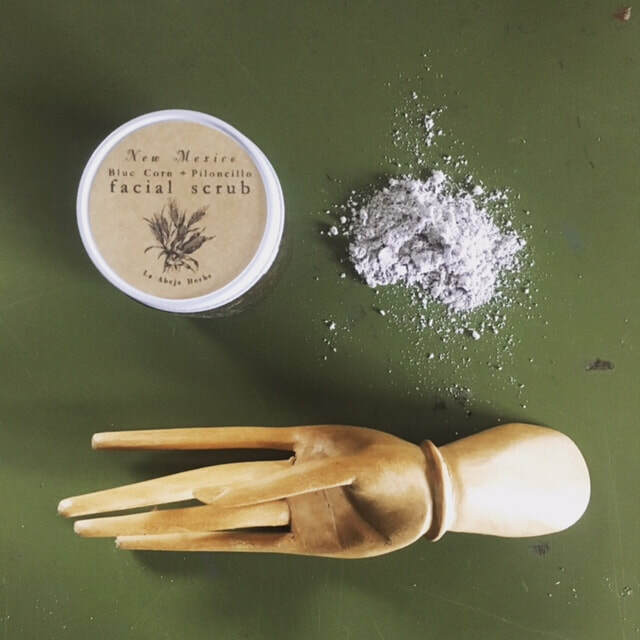 ​​Blue Cornmeal and mineral-rich piloncillo are blended with sacred earth, jojoba oil, and wildcrafted desert globe mallow to create a scrub that is simple and soothing, nutritive and deeply renewing. Use two to four times weekly to exfoliate, cleanse, nourish, and protect your precious skin. Apply to skin, dampened by a warm and wet washcloth and massage in gentle circles, washing away the troubles of the day, the accumulated worry of the world. Allow yourself to be, for a moment, as soft as your skin.